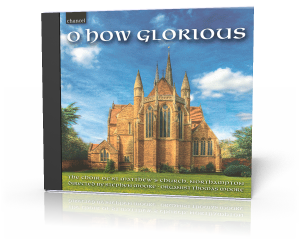 The Choir of St Matthew’s Church was pleased to release in April 2015 its CD O How Glorious, recorded at the church in 2014. The Choir consists of mixed boy and girl choristers aged between eight and eighteen who attend schools all over Northamptonshire and are supported by a dedicated back row of men and women of all ages. This is the second CD recorded by the Choir in as many years and represents a point of significant strength in the recent history of music-making at the church. repertoire and which are sung at various points throughout the liturgical calendar. 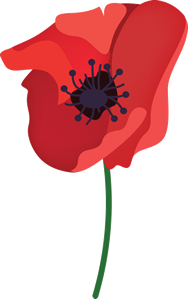 All of the works are from British-born composers; alongside well-known names such as Herbert Howells, Edward Bairstow and Charles Villiers Stanford are the more contemporary John Rutter, Bob Chilcott and Grayston Ives. The disc also features three compositions commissioned by St Matthew’s since 2009, here receiving their premiere recordings. Works written for the Choir of St Matthew’s by the composers David Bednall, David Halls and Philip Stopford are further evidence of a vibrant and forward looking tradition of commissioning and high quality music-making at the church. The St Matthew’s Choir was conducted by the then St Matthew’s Director of Music, Stephen Moore, with Thomas Moore, Director of Music at Wakefield Cathedral, accompanying on the fine renowned 1895 Walker Organ. 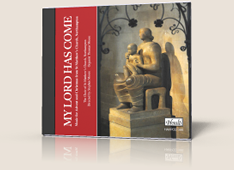 The CD, which is priced at £10 per copy, is available at the church at services, all concerts and recitals. 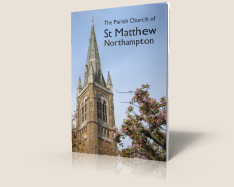 Further information can be obtained from St Matthew’s Director of Music, through St Matthew’s Parish Office, 27a The Drive, Kingsley, Northampton NN1 4RY, by telephoning 01604 791251 or by emailing music@stmatthews-northampton.org.uk. A preview of the CD, part of Philip Stopford’s O How Glorious is the Kingdom is available to view below.